Have a gas leak in your home? Did the gas company shut the gas off due to a gas leak or do you need a new gas line installed? The first question most people ask themselves is, why am I calling a plumber? Most people don't know that plumbers work on gas lines, the Gas company does not. If you are unsure whether you have a gas leak, call a local Marne, Rowland Heights plumber. It's always better to error on the side of caution. Did you know the utility Gas company inserts the sent that you smell in natural gas? Natural gas is odorless in it's natural state. The reason for this is if you have a leak, you will smell it and have it fixed rather than blowing the house high in the sky. Gas leaks scare most people when they smell it in the home. We often get calls for gas leaks when people lack maintenance on their plumbing and have not maintained the system. It's important to keep your plumbing in good shape or buy the proper insurance coverage in case you discover damage from a gas leak in the future. We can find and fix the leak and our Water Damage cleanup team can put your home back together. Gas Leak in Marne, Rowland Heights? Gas Leaks can be Dangerous! Obviously, gas leaks can be extremely dangerous. Option one plumbers are trained to fix any and all gas leaks in Marne, Rowland Heights CA. 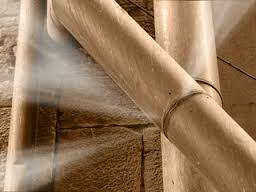 In fact, Option One plumbers are your local Marne, Rowland Heights gas pipe and gas leak specialists. 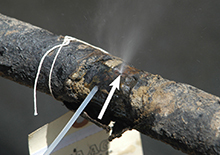 Gas leaks are not just about repairing the leak. It’s about finding the gas leak location and determining if there are additional leak locations. Option One has the experience and the tools to both find the leak and repair it quickly and safely. We utilize the latest in leak detection technology to find your leak, fix it quickly, and repair it right the first time... all at an affordable price. The first thing you need to know is the location of all emergency shut off valves. The most important one is the main gas shut off valve to your home or business. you need to inspect each shut off valve annually to be sure that it is in working order. Most people know it should be done but rarely do the annual inspection. Test each valve in your home by adding liquid soap to a spray bottle with water and spray each shut off valve and supply line leading to each fixture. If you see bubbles coming from a small leak, we recommend the valve and supply line be replaced or you run the risk of major damage when if an emergency happens. If you ever replace your oven, water heater or cloths dryer, always replace the supply line. Never re-install an old gas supply line. The first thing to do is shut off the gas to stop any damage that may accrue. Once the gas is off, give us a call to make the repair. We do not recommend doing repairs on gas lines if you don't have the proper training. Gas lines are not something we recommend for the D.I.Y.'er. If you smell gas, shut off the main valve at the meter and call us right away. We will perform a leak detection and one of our technicians will provide you with the most cost effective option to repair your gas leak. The Gas company is also able to turn off the gas for you if you have a leak.